Investing is for kids, too — and it's never too early to start. You can open a custodial brokerage account for your children and help them select investments. Investing isn’t just for adults: If you want to teach your kids some valuable lessons about money and the power of investment growth, helping them open a custodial brokerage account can be a great start. One of the biggest keys to successful investing is a long time horizon, and kids have that in spades. If they’re willing to let their money remain invested for several years, they’re likely to see a nice return on their initial investment. Watching their money grow can encourage them to be better savers and investors as adults, when it truly matters. 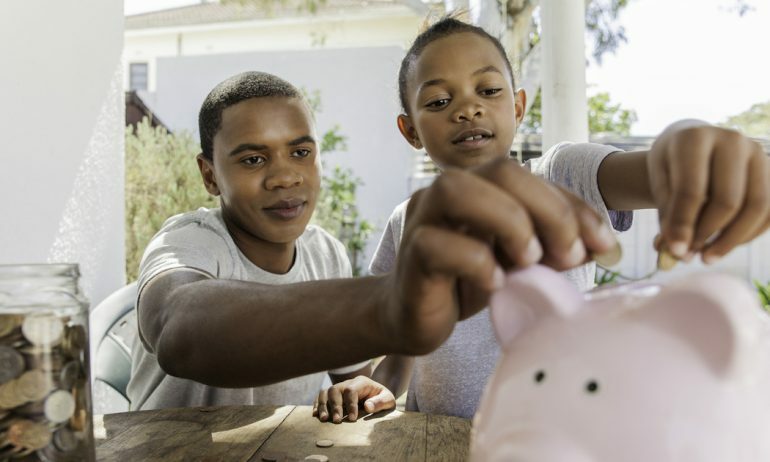 Here are some things to consider about investing for kids, including which investments are best and how to select and set up your child’s first brokerage account. To get your kids started investing, you should first decide which investment account is best for them. That decision largely hinges on whether they have earned income. If your child doesn’t have taxable income or wages: Under the Uniform Gift to Minors Act or Uniform Transfer to Minors Act, you can open up custodial brokerage accounts for your kids. Although the account will initially be in your name, your child will be able to take full control of it once he or she reaches age 18 or 21, depending on state laws. No matter which type of brokerage account you decide to open for your kids, you’ll need to start by finding a broker. To find the brokerage account that’s right for your child, look for an online broker that charges no account fees and has no minimum initial deposit. This gives your kids the chance to start investing with a small amount of money. Look for an online broker with no account fees or investment minimum. Consider, too, the costs associated with the investments your child plans to choose. For example, for kids who want to practice trading stocks, you should ensure the broker offers low trade commissions. If your kids just want their money to grow in a hands-off way, look for brokers with a large selection of low-cost index funds. If you’re looking for a brokerage account to teach your kids about investing, know that many brokers offer educational content, including online investing tutorials and even practice trading accounts. You can open a custodial account — both a standard brokerage account and a Roth IRA — for your child in under 15 minutes or so; at most brokers, the entire process is completed online. To speed things up, make sure you have the necessary information ready. The broker will likely ask for both your and your child’s Social Security number, as well as dates of birth and contact information. You’ll probably have to supply your employment information, and you should be ready to link another bank or brokerage account so you can transfer money to fund the new account. Once the custodial account is open and funded, the real fun begins: Investing the money. Within their brokerage account, your kids will be able to invest in individual stocks, as well as mutual funds, index funds and exchange-traded funds. 1. Help them pick one or two individual stocks. Focus on household names they’re familiar with — owning even one share of popular brands like Snapchat or Disney will get them excited about investing. Kids typically find it easier to relate to brands they know and love. 2. Build the rest of the portfolio with index funds. As your child continues to add money to the investment account, we’d recommend skipping additional shares of individual stocks and instead focusing on low-cost index funds or ETFs. These funds bring much-needed diversification to the portfolio, by pooling hundreds of stocks together into one investment. That way, your child can invest in a lot of different companies in one transaction. To learn more about the investments your child will be able to choose from — and to decide which is most suitable — read our full guide to various types of investments. Once they’ve selected and purchased their investments, make a habit of checking their earnings and losses every few days and comparing the small fluctuations to larger long-term changes. This will spark discussion and inspire kids to become more informed investors in the future.